AgPack Hydro-Cooler-Sanitizer M 250, ice-less with Refrigeration unit, Stainless Steel, electric motor and pump. 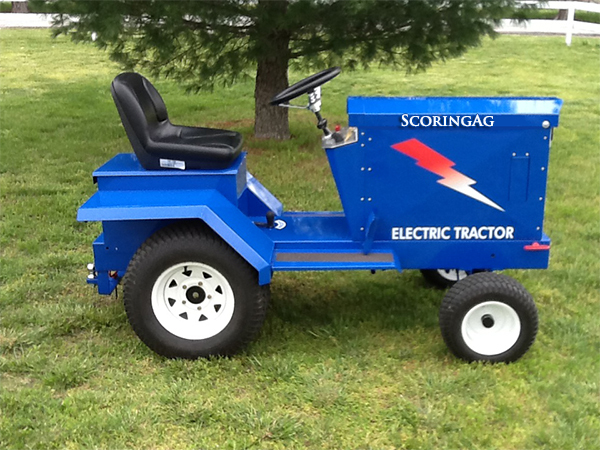 Multiple Use Tow Tractor by ScoringAg, Inc.
New dual electric or solar powered Tow Tractor is an electronic marvel and handles more than one job and built to be used in Greenhouses and Nurseries. 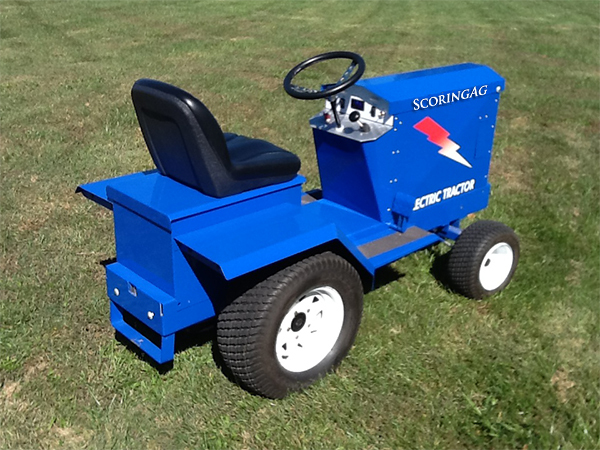 The environmentally friendly new Multiple Use Tow Tractor by ScoringAg is the answer for many issues the industry is facing now. 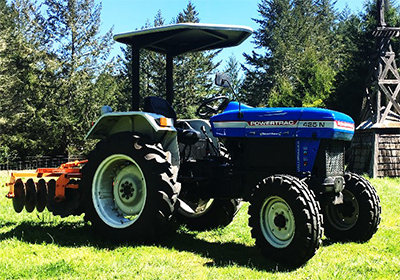 New dual electric or solar powered Row Crop Tractor is an electronic marvel and handles more than one job and built to be used on sustainable small farms. 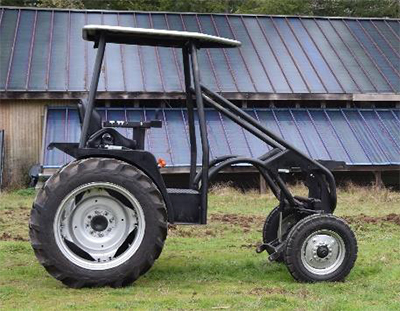 The environmentally friendly new row crop Tuff-Bilt Solar/Electric Tractor by ScoringAg is the answer for many issues the small farmer is facing now. The TreeSteamer© invented by ScoringAg, Inc. 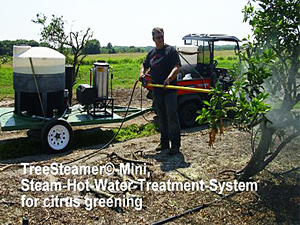 The TreeSteamer© a new invention from ScoringAg, a company that leads the way in agricultural sanitation equipment, is a continuous or batch process treatment steaming tunnel system that protects the worldwide Citrus Industry from Greening Disease, also known as Huanglongbing (HLB), or yellow dragon disease, the most devastating disease of citrus. The tunnel model can treat 3-5 trees per batch or operate continuous across the groves. 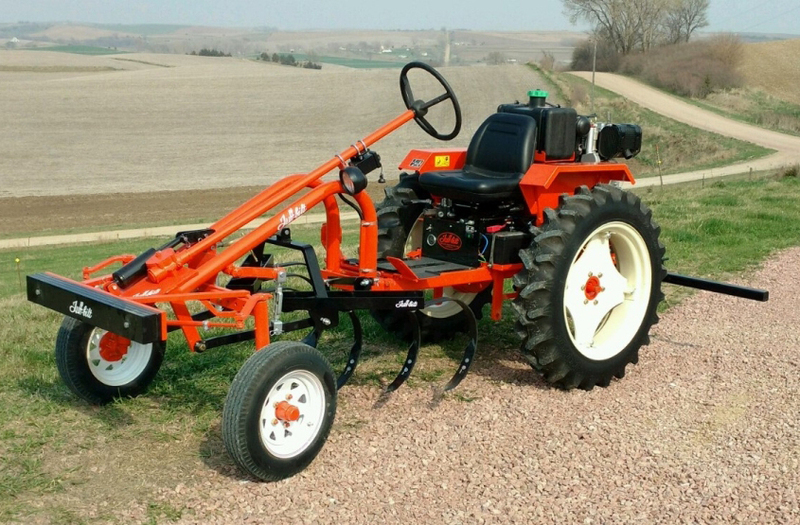 TreeSteamer© Drop Canopy Model unit works best in most types of groves with uniform tree sizes and spacing. It can treat single or 2 - 3 trees without moving. By using the TreeSteamer© Drop Canopy Model, it gives growers good options such as treating a single tree or being used in high density citrus plantings. is made to operate in groves that have a high amount of resets, buck-horned citrus trees and extra large and tall trees mixed together. It also can be used to treat backyard citrus. 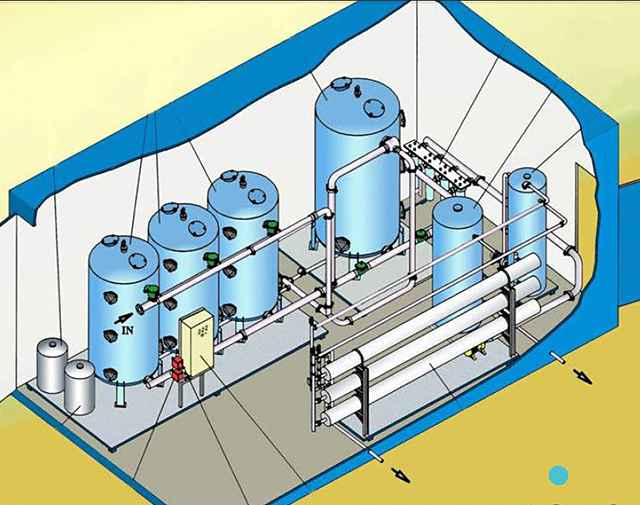 The Dosatron equipment is built into a delivery and spray bar system from Flo-Tec that gives sanitation directly to conveyors and processing lines for the needed kill step of FSMA that only uses local water to run. 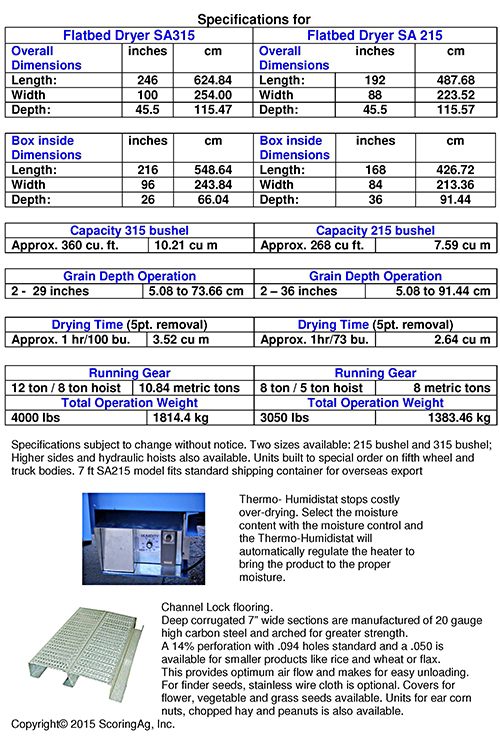 The products used in this sanitizing step are Di Oxy Solv and Peroxy Punch based upon PAA and Hydrogen Peroxide to get a 5 log surface reduction of food borne pathogens for harvested crops and disinfection purposes. ScoringAg’s Agriculture Nettings are made out of UV polyester, that is extremely strong and stretchy. It is made out of special woven polyester fiber which is patented and manudfacture only for ScoringAg. The white fabric is stretchable, flexible, indestructible and reusable and can be custom sized in any width, diameter and length. ScoringAg Polyester Agriculture Nettings is a physical barrier to insects and worms, preventing infestation without sprays or poisons of any kind. Large raindrops are broken into a mist, preventing heavy rain damage, even hail just bounces off. This material is the best fit for individual trees and also for high tunnels or hoop houses to keep the damaging insects out. 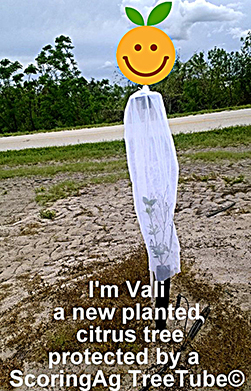 The material is tested by the University Florida for psyllids. It works also to keep SWD and other small insects out as well as deer, squirrels, birds. It also keeps frost and extreme sunlight off the plants. Plants protected with ScoringAg’s grow 2-3 times faster as the light is disseminated in a way that plants like and make them grow better. It can be used as an additional layer to existing screens that are not fine enough or replacing plastic material that gets easily damaged. AgPack Belt Dual Air Knife M400 belt conveyors with stainless steel 12 ft. conveyor, can run either single or dual air knife‘s depending upon moisture needed on the crop. 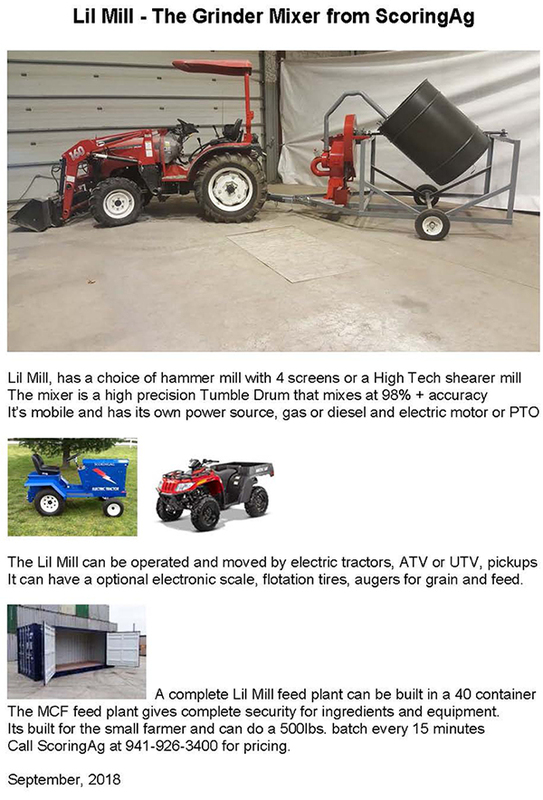 Do I need a harvest equipment sanitizer? 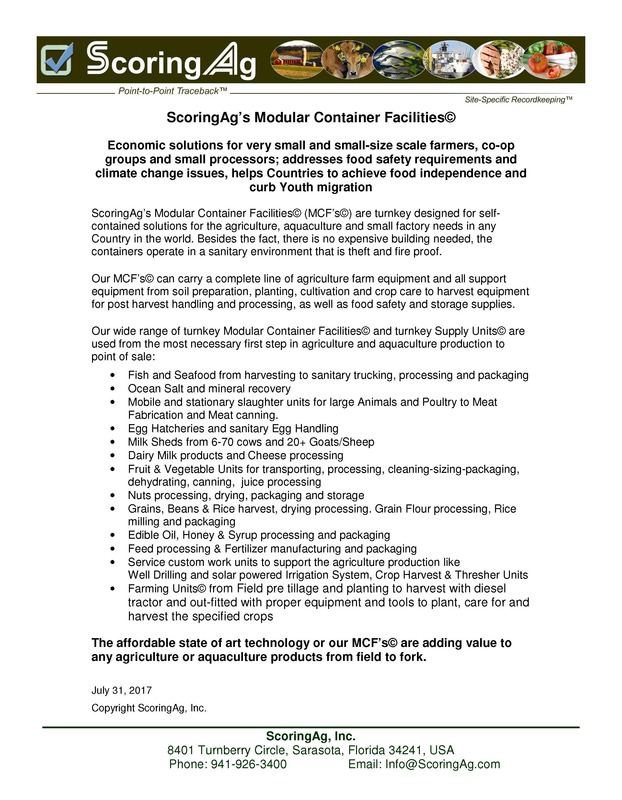 Yes, contaminations have many sources and can occur during the whole supply chain but are often found at farm and packing shed level. Our portable Sanitizer machine makes it easy to clean and sanitize harvesting containers betweeen lot number changes such as buckets, harvest pails, totes, RPC's, bins, processing belts, and shovels/brooms etc. at any needed place. 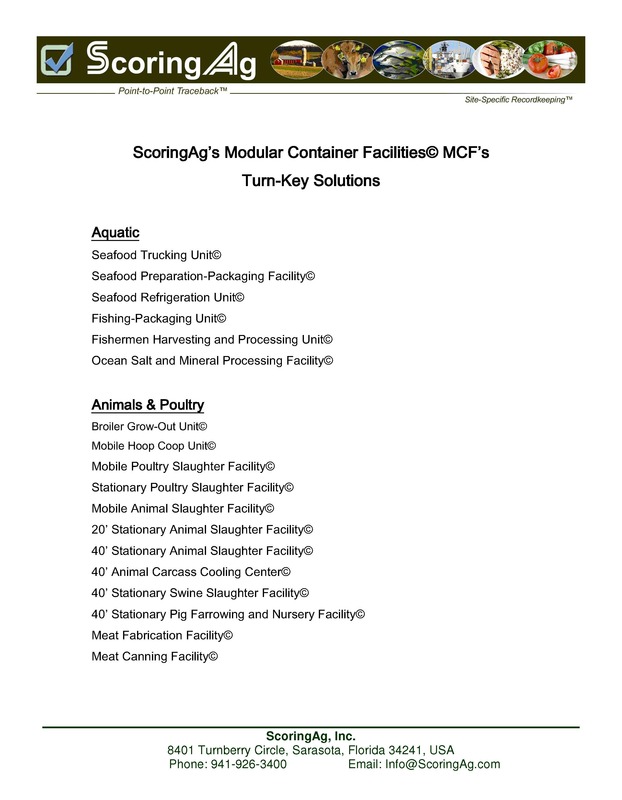 By labeling every product (item-level) with ScoringAg‘s SSI-EID unique traceback code back to the lot number in the field and not just to a brand name or another generic place helps to remove contaminated products from the market in hours. Many companies never recovered from a food or feed contamination. 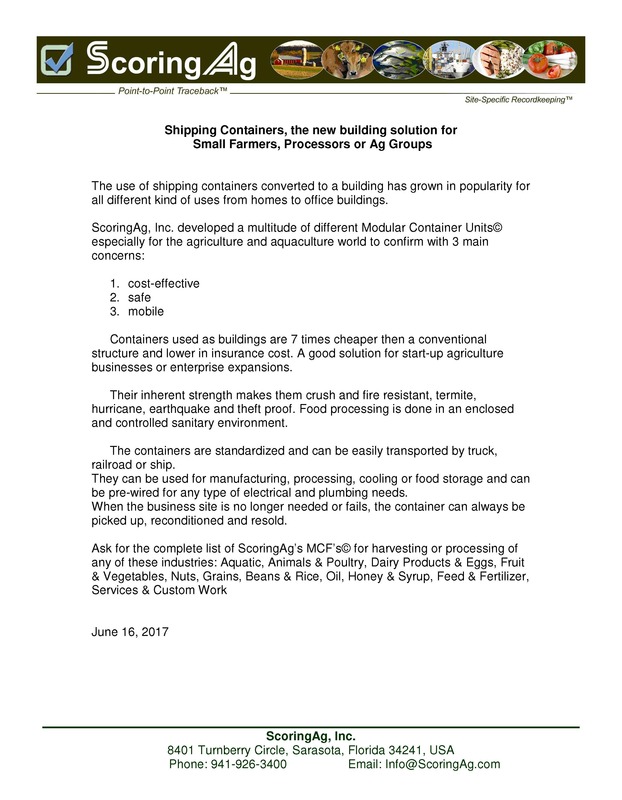 is a new innovation that leads the way in products that are beneficial to the grain handling industry for sanitation and prevention of foodborne pathogens. for big plastic, wood or metal bin sanitation. High quality RPC´s Containers and Totes that work very well in our sanitizer and hydro-cooling machines that last for many years. UV stabilized to protect from the sun´s harmful rays. Are torsionally stable and strong, yet gentle on produce. 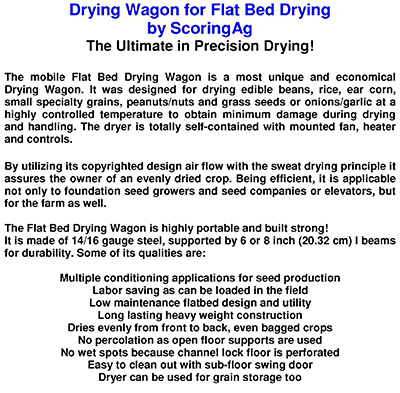 Maximizes heat and humidity Intelligent design eliminates external ribs where cracks start and dirt gathers. Thick, rounded, more comfortable handles improve worker safety. Smooth inside and out to improve quality and pack-out. Color choice and metal detectable options are available. Built with FDA approved, food-grade Polypropylene material or food-grade HDPE.